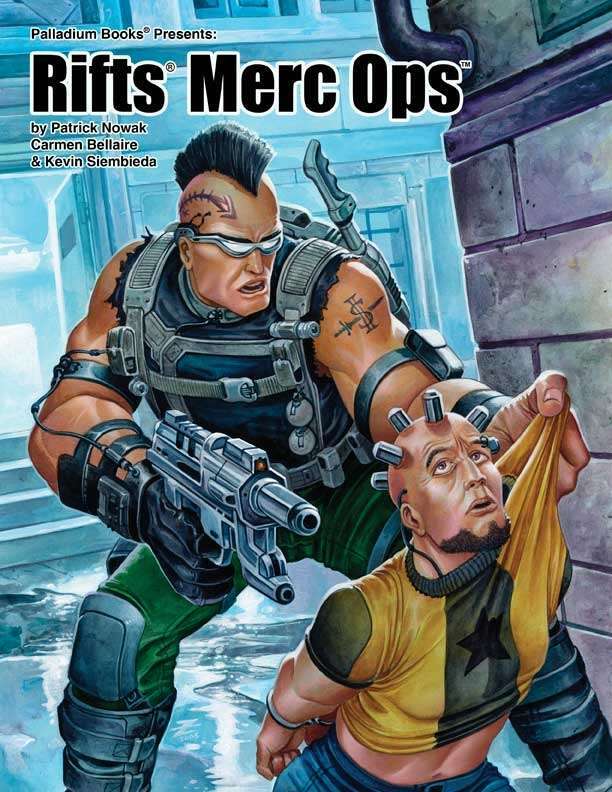 All the little extras a mercenary campaign might require: Job broker Merc Ops, bounties and how to collect on them, dealing with the Coalition States, preserving one’s anonymity, merc missions, Techno-Wizard weapons, power armor, and scores of weapons and gear from Northern Gun, Golden Age Weaponsmiths, Wellington, MageFire and others. Mercenary Operations – missions and objectives. Job broker and middleman, Merc Ops, and its operations. Finding and collecting on bounties. Merc Ops’ Ten Most Wanted and adventures to go with them. High-tech weapons and equipment from Northern Gun and others. S.D.C. weapons and gear from Golden Age Weaponsmiths. Techno-Wizard weapons and devices, and more. 160 pages written by Nowak, Bellaire and Siembieda.